When I was growing up, my favorite toy was a huge Axis versus Allies military set. When my buddies and I played, I always seemed to gravitate to the Nazis, which is odd, considering my grandmother was a Polack. I guess there was just something about those sharp black uniforms, menacing war machines and total lack of even basic humanity that really appealed to me. For years I’ve wanted to give my children the same happy memories I had, but there was no comparable toy to buy. 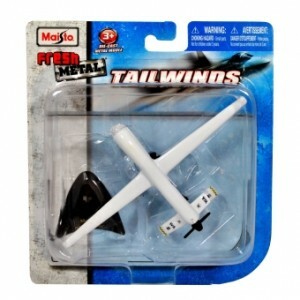 Lucky for them, that has all changed with the release of Maisto’s miniature RQ-1 Predator Unmanned Aerial Vehicle (UAV). These die cast toys are authentic replicas of the same unmanned drones our military uses to carry out assassinations across the globe, and I’m not going to lie; I have had a hard time putting the damn things down. Just yesterday my kids were playing with their blocks when my keen eyes spotted a group of four terrorist Lego men cleverly pretending to be medieval knights. After loitering above the scene for a few minutes, while patiently ignoring my kids’ demands that I “go be drunk and annoying somewhere else,” I got the go-ahead from HQ to strike. God it was beautiful. Those little Muslims had no idea what hit them. My missiles blew them to pieces, and the follow-up strike from my size 13 Nike’s flattened their castle. My kids’ anguished screams and impotent threats of revenge added another element of reality that made it even more fun. Right now my little drone is being refueled and rearmed, but I expect to have him back in action tonight. My daughter has a friend coming over for a tea party, but those Al-Qaeda dolls aren’t fooling anyone. That tea party is clearly a cover for a high level strategy session, and lucky for America, my drone is going to wreak havoc on it in about four hours.